Chefs Masa Takayama (left), Eric Ripert and Anthony Bourdain chat during a screening of Anthony Bourdain: Parts Unknown in 2016 in New York City. Chef and television host Anthony Bourdain was found dead in a hotel room in France, his employer CNN said in a statement Friday morning. He was 61. The network and a French official said the cause of death was suicide. "It is with extraordinary sadness we can confirm the death of our friend and colleague, Anthony Bourdain," the network said. "His love of great adventure, new friends, fine food and drink, and the remarkable stories of the world made him a unique storyteller. His talents never ceased to amaze us and we will miss him very much. Our thoughts and prayers are with his daughter and family at this incredibly difficult time." 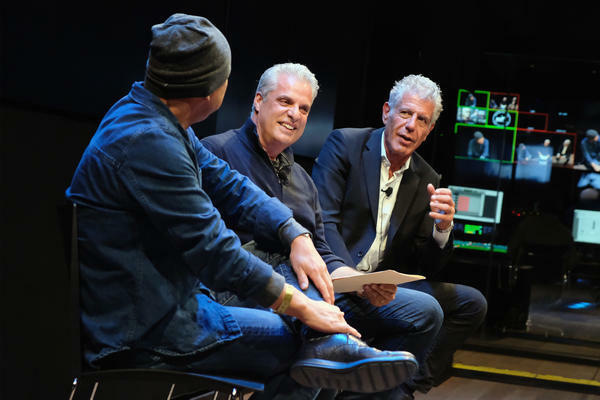 The network said that Bourdain was in France working on an episode of his show Parts Unknown and that he was found by French chef and friend Eric Ripert. CNN's Brian Stelter said Bourdain had hanged himself in his hotel room. A French prosecutor confirmed that Bourdain was found in the Chambard luxury hotel in the town of Kaysersberg. "At this stage, we have no reason to suspect foul play," Christian de Rocquigny du Fayel was quoted as saying by The New York Times. Bourdain's death comes just days after fashion designer Kate Spade was found dead of an apparent suicide at age 55. Formerly the chef at Les Halles in New York City, Bourdain broke into national fame with his book Kitchen Confidential. He landed on the Food Network with A Cook's Tour, then gained a broader audience as star of Travel Channel's Anthony Bourdain: No Reservations. He moved to CNN in 2013, where Season 11 of his show premiered last month. Peabody Award judges honored Bourdain's Parts Unknown in 2013 for "expanding our palates and horizons in equal measure." Bourdain also was active in social causes, particularly in highlighting the role of immigrant workers in restaurant kitchens. For years, he was vocal about how immigrants are the backbone of the industry but that their contributions are marginalized and ignored. "The bald fact is that the entire restaurant industry in America would close down overnight, would never recover, if current immigration laws were enforced quickly and thoroughly across the board," Bourdain told the Houston Press in 2007. In 1999, he wrote an essay in The New Yorker titled, "Don't Eat Before Reading This" in which he revealed dirty secrets of the restaurant business. It was professional cooking's unsavoriness that attracted him, said Bourdain, who dropped out of college in the early 1970s and transferred to The Culinary Institute of America. "I wanted it all: the cuts and burns on hands and wrists, the ghoulish kitchen humor, the free food, the pilfered booze, the camaraderie that flourished within rigid order and nerve-shattering chaos," he wrote. "I love the sheer weirdness of the kitchen life: the dreamers, the crackpots, the refugees, and the sociopaths with whom I continue to work; the ever-present smells of roasting bones, searing fish, and simmering liquids; the noise and clatter, the hiss and spray, the flames, the smoke, and the steam." Bourdain was open about having kicked addictions to heroin and cocaine. He was twice married and divorced, and had a daughter, Ariane. Recently, he had shared photos together with his girlfriend, actress and filmmaker Asia Argento. "He was my love, my rock, my protector. I am beyond devastated," Argento said in a tweet. Bourdain's death comes as a shock to many people who admired both the man and the life he lived. "Here is the thing," wrote CNN anchor John Berman, "just one of the things that makes this so hard and confusing. Everyone wanted to be Anthony Bourdain. I did. We all did." "I'm happiest experiencing food in the most purely emotional way," Bourdain told NPR's Fresh Air in 2016. "When it's, like, street food or a one-chef, one-dish operation, or somebody who's just really, really good at one or two or three things that they've been doing for a very long time, that's very reflective of their ethnicity or their culture or their nationality — those are the things that just make me happy." "Journalists drop into a situation, ask a question, and people sort of tighten up," Bourdain said. "Whereas if you sit down with people and just say, 'Hey what makes you happy? What do you like to eat?' They'll tell you extraordinary things, many of which have nothing to do with food." NPR food editor Maria Godoy contributed to this report. 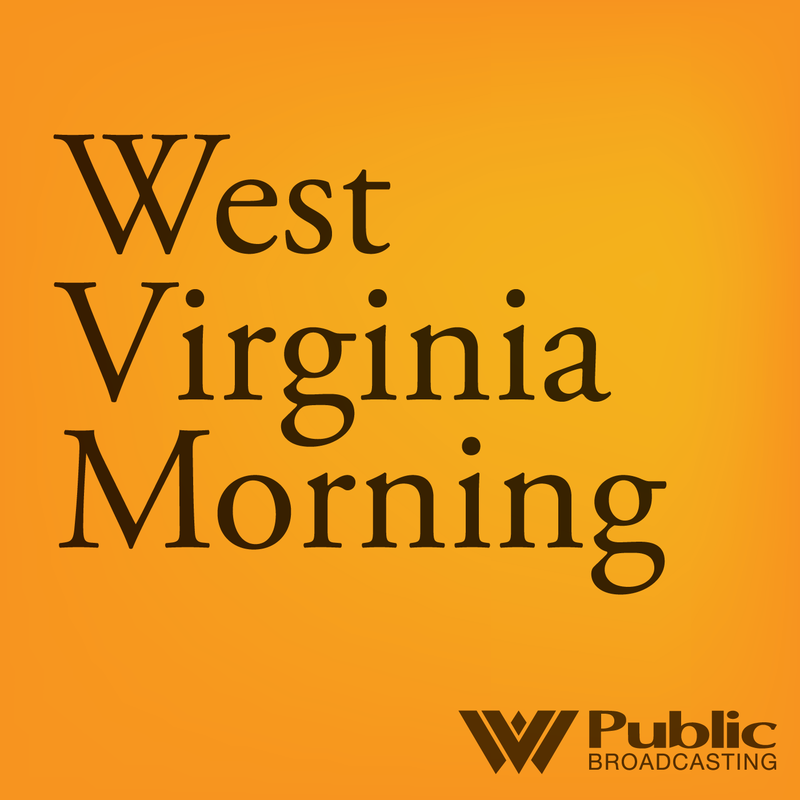 Listen to West Virginia Morning on April 30, 2018. On this West Virginia Morning, West Virginia chef-journalist Mike Costello appeared on CNN’s Parts Unknown. Costello talks about that experience, plus what he’s working on for 100 Days in Appalachia. Also, in this episode, we hear about a multi-state outbreak of Hepatitis A infections in the Ohio Valley linked to the region's addiction crisis.